The responses of offshore structures are significantly affected by steep nonlinear waves, currents and wind, leading to phenomena such as springing and ringing of TLPs, slow drift yaw motion of FPSOs and large oscillations of Spar platforms due to vortex shedding. Research has brought about significant progress in this field over the past few decades and introduced us to increasingly involved concepts and their diverse applicability. 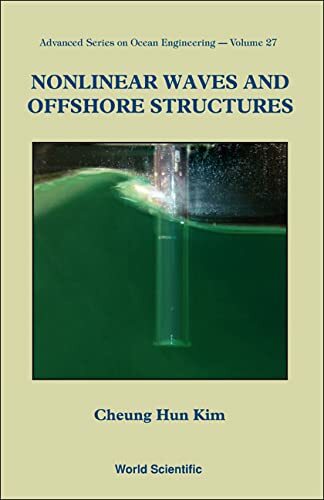 Thus, an in-depth understanding of steep nonlinear waves and their effects on the responses of offshore structures is essential for safe and effective designs.This book deals with analyses of nonlinear problems encountered in the design of offshore structures, as well as those that are of immediate practical interest to ocean engineers and designers. It presents conclusions drawn from recent research pertinent to nonlinear waves and their effects on the responses of offshore structures. Theories, observations and analyses of laboratory and field experiments are expounded such that the nonlinear effects can be clearly visualized.